Karen found the blossoms and foliage for this bouquet on the Big Island of Hawaii. 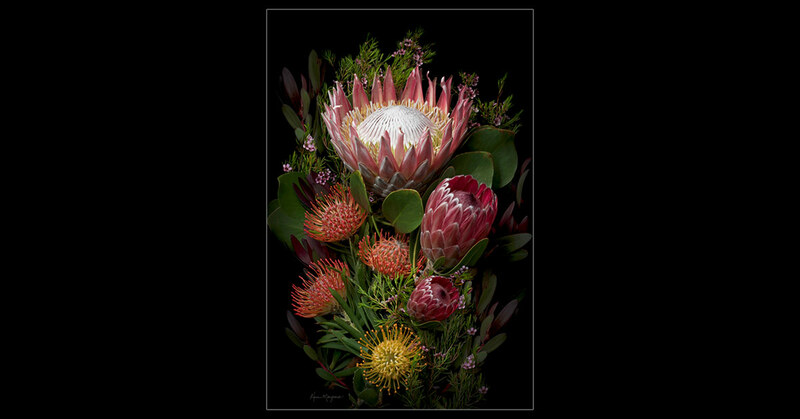 The massive, eight-inch diameter of the King Protea blossom is surrounded by Pink Ice, Red Pincushion and High Gold flowers, as well as Jester leaves. 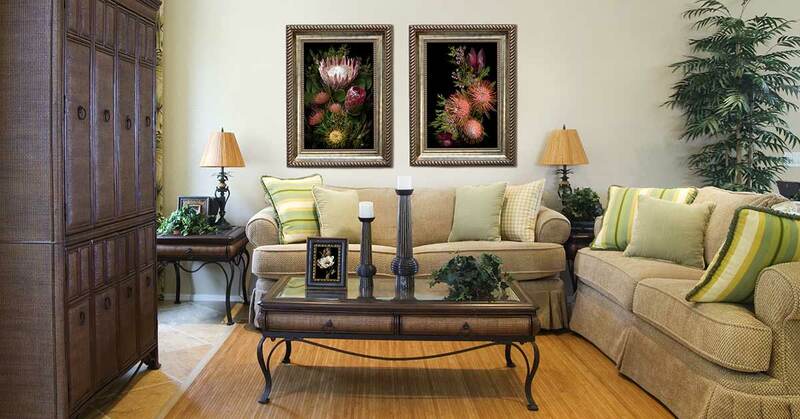 Protea plants were brought to Hawaii from South Africa and Australia where they now thrive in the acidic, volcanic soil of the Hawaiian Islands.